Boon 1954-58 Site J and L TR 3 Cam 112 1 (Boon 1969, 74, no.181) only stratified imported sherd from onner earthwork bank area. Cotton 1938-39 Period III TN 1 " a few sherds" (Cotton 1947, 163). Cotton 1938-39 Period III TR 1 Cam 74-79 1 x2 sherds (Cotton 1947, 163). Cotton 1938-39 Pit A1 TR 3 Cam 112 1 (Cotton 1947, fig. 11.6). Pink version. Cotton 1938-39 Pit C3 level 1 TR 1A Cam 74-79 2 (Cotton 194, fig. 12.13-14). Defences 1974-1980 extra-mural survey TN Cam 12/13 1 (Corney 1984, 253). Defences 1974-1980 extra-mural survey TR 3 Cam 112 1 (Corney 1984, 253). Cotton 1938-39 Pit C3 level 1 TR Cam 5 1 (Cotton 1947, fig. 12.16). Burnt. Defences 1974-1980 extra-mural survey TN Cam 5 1 (Corney 1984, 253). May 1916 Unknown TN Cam 5 6 (May 1916, 177, type 188). Basilica 1980-6 (1190) TN Platter 963 1 (Timby 2000, fig. 106.10). See also 1253, possibly same vessel. Basilica 1980-6 (1253) TN Platter 964 1 (Timby 2000, fig. 106.9). See also context (1190). Basilica 1980-6 (1358) TR 1C Platter 968 1 (Timby 2000, fig. 106.21). Basilica 1980-6 (1358) TR 1C Platter 977 1 (Timby 2000, fig. 106.18). Basilica 1980-6 (17) TN Platter 961 1 (Timby 2000, fig. 106.25). Basilica 1980-6 (1812) TN Platter 962 1 (Timby 2000, 204, no. 29). Basilica 1980-6 (2247) TN Platter 960 1 (Timby 2000, fig. 106.24). Basilica 1980-6 (424) TR 1C Platter 966 1 (Timby 2000, fig. 106.5). Possibly from same vessel as V965. Basilica 1980-6 (701) TN Platter 980 1 (Timby 2000, fig. 106.22). Basilica 1980-6 (736) TR 2 Platter 981 1 (Timby 2000, fig. 106.23). Basilica 1980-6 (738) TN Platter 958 1 (Timby 2000, fig. 106.14). Basilica 1980-6 (975) TN Platter 984 1 (Timby 2000, 204, no. 24). Basilica 1980-6 (981) TN Platter 979 1 (Timby 2000, fig, 106.20). Basilica 1980-6 F192 (325) TN Platter 982 1 (Timby 2000, fig. 106.31). Basilica 1980-6 F192 (325) TN Platter 983 1 (Timby 2000, 204, no. 28). 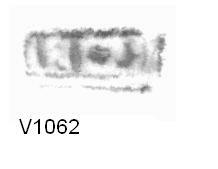 Basilica 1980-6 F246 TN Platter 906 1 (Timby 2000, 204). Basilica 1980-6 F246 TN Platter 973 1 (Timby 2000, fig.106.7). Basilica 1980-6 F576 TR 1C Platter 970 1 (Timby 2000, fig. 106.8). Boon 1954-58 Tr B Layer III TN Platter 755 1 (Boon 1969, fig. 3b.4). Insula IX 6708 TN Platter 1062 1 From current excavations in Insula IX, 2006 season. May 1916 1900 In xxiii, xxxvi TN Platter 127 1 (May 1916, pl LXXXII, 6). May 1916 Pit 33 TN Platter 129 1 (May 1916, 273, pl. LXXXIIA, no. 9). May 1916 Pit 63 TN Platter 701 1 (May 1916, 275, pl.LXXXIIA.18). May 1916 Unknown TN Platter 125 1 (May 1916, 273, pl.LXXXIIA.4). May 1916 Unknown TN Platter 126 1 (May 1916, 273, pl.LXXXIIA.5). May 1916 Unknown TN Platter 128 1 (May 1916, 273, pl. LXXXIIA.7). May 1916 Unknown TN Platter 131 1 (May 1916, 274, pl.LXXXIIA.15). May 1916 Unknown TN Platter 133 1 (May 1916, 273, pl.LXXXIIA.11). May 1916 Unknown TN Platter 463 1 (May 1916, 274, pl. LXXXIIA.14). May 1916 Unknown TN Platter 465 1 (May 1916, 272, pl. LXXXIIA.2). May 1916 Unknown TN Platter 617 1 (May 1916, 272, pl. LXXXIIA.1). May 1916 Unknown TN Platter 707 1 (May 1916, 274, pl. LXXXIIA.17). Richmond 1961 18 TN Platter 1 A second sherd probably from the same vessel came from layer 17. (Wilson 1975, 300). Richmond 1961 20 TN Platter 1 (Wilson 1975, 300). Basilica 1980-6 (1160) TN Cup 972 1 (Timby 2000, fig. 106, 6). Basilica 1980-6 F423 TR 1C Cup 971 1 (Timby 2000, fig. 106.17). Amphitheatre 1979-85 Various TR 2 Cam 8 1 Context group 1.1. (Timby 1989, 83). May 1916 Unknown TN Cam 8 1 (May 1916, 176, type 185). Boon 1954-58 Tr B Layer III TR 2 Cam 56 1 (Boon 1969, fig. 11.31). Cotton 1938-39 Pit C3 level 1 TN Cam 56 601 1 (Cotton 1947, fig. 12.10). Defences 1974-1980 extra-mural survey TR Cam 56 1 (Corney 1984, 253). May 1916 Unknown TN Cam 56 728 1 (May 1916, 274, pl. LXXXIIA.16). May 1916 Unknown TN Cam 12 2 (May 1916, 176, type 186) - two examples and several fragments. Boon 1954-58 Tr B Layer III TN Cam 13 1 (Boon 1969, fig.11.23). Boon 1954-58 Site H TN Cam 16 1 (Boon 1969, 72). Boon 1954-58 Tr B Layer III TN Cam 16 562 1 (Boon 1969, fig. 11.24 and p. 30, fig. 3b). Defences 1974-1980 extra-mural survey TN Cam 16 1 (Corney 1984, 253). May 1916 Unknown TN Cam 16 3 (May 1916, 177, types 191-2). Boon 1954-58 Tr B Layer III TN Cam 2 1 (Boon 1969, fig. 11.20). Defences 1974-1980 extra-mural survey TN Cam 2 1 (Corney 1984, 253). May 1916 Unknown TN Cam 2 7 (May 1916, 177, type 189). One vessel pierced with three rivet holes. May 1916 Unknown TN Cam 3 1 (May 1916, 176, type 187). Boon 1954-58 Tr B Layer III TN Cam 56C 1 (Boon 1969, fig.11.30). Boon 1954-58 Tr B Layer III TN Cam 6 1 (Boon 1969, fig,11.21). Boon 1954-58 Tr B Layer III TR 2 Cam 7 1 (Boon 1969, fig.11.22). Defences 1974-1980 extra-mural survey TN Cam 7 1 (Corney 1984, 253). Boon 1954-58 Tr B Layer III TR 3 Cam 82 1 (Boon 1969, fig, 11.33). Amphitheatre 1979-85 Fineware Miscellaneous micaceous Central Gaulish beaker with red painted interior. Basilica 1980-6 Amphora Miscellaneous Catalan, Peacock and Williams class 16.